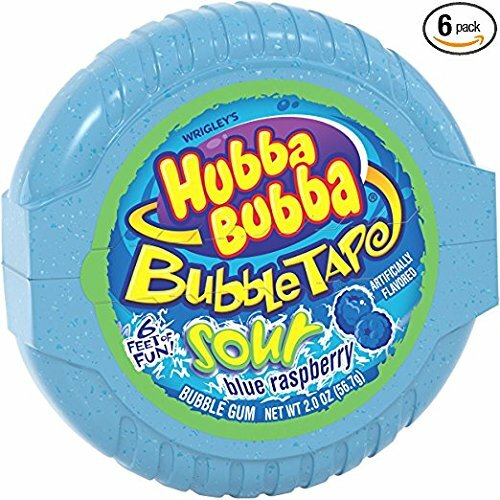 Hubba bubba bubble tape, sour blue raspberry. Sour Blue Raspberry bubble gum with a big sour blue raspberry taste. 6 feet of fun with bubble-gum tape. The perfect gum for challenging friends to bubble-blowing contests. The bubble gum for blowing wildly big bubbles. Package includes 6 individual packs. View More In Chewing & Bubble Gum. If you have any questions about this product by Hubba Bubba Gum, contact us by completing and submitting the form below. If you are looking for a specif part number, please include it with your message. Wrigley's Orbit Wintermint - 14 pc. - 12 pks.